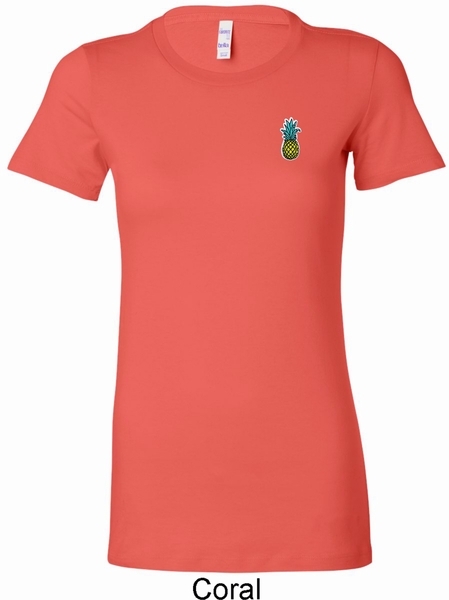 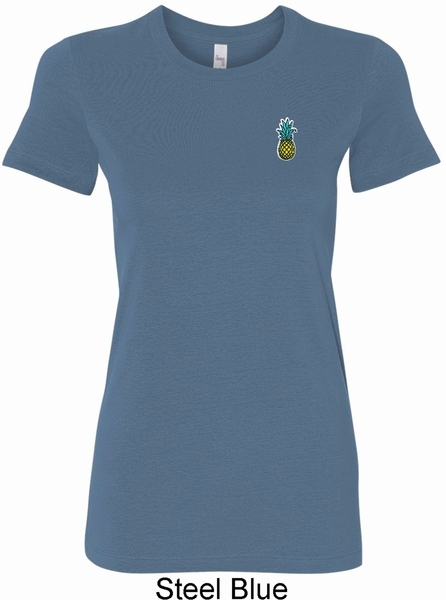 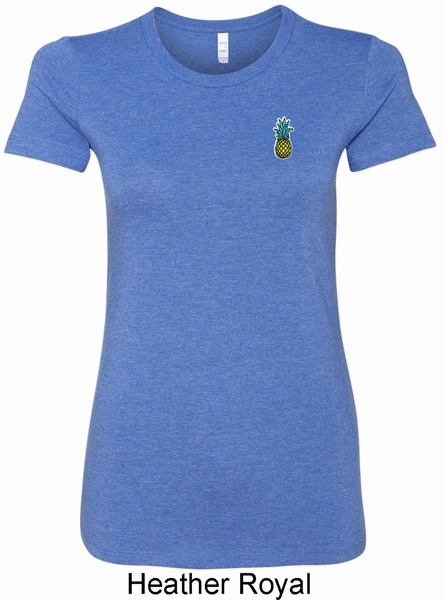 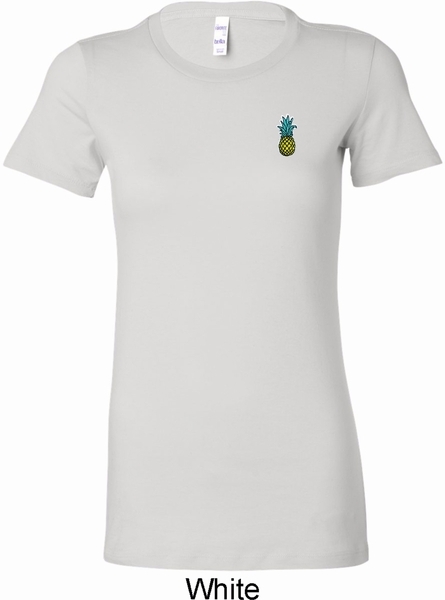 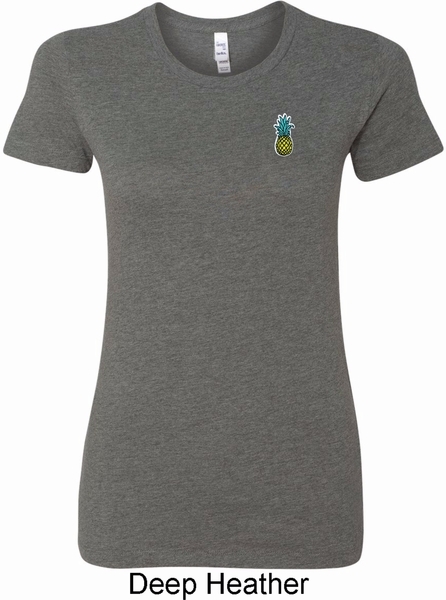 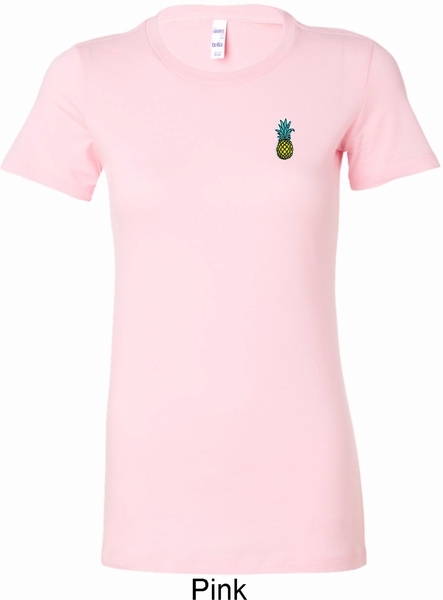 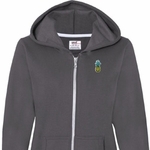 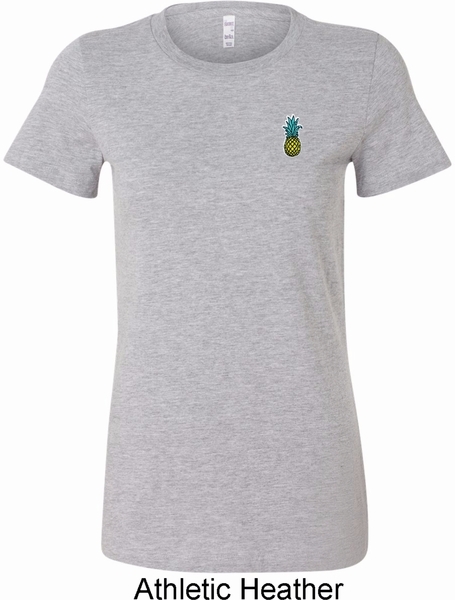 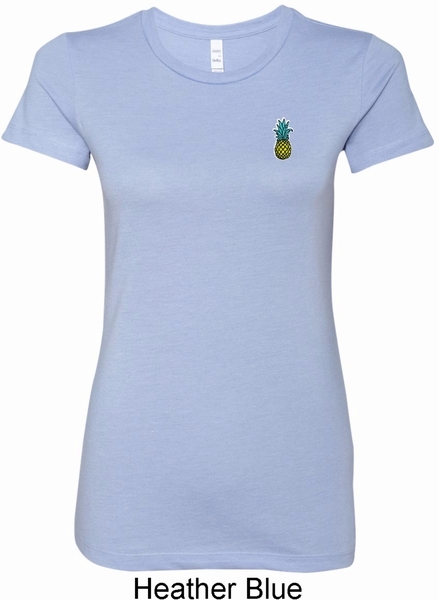 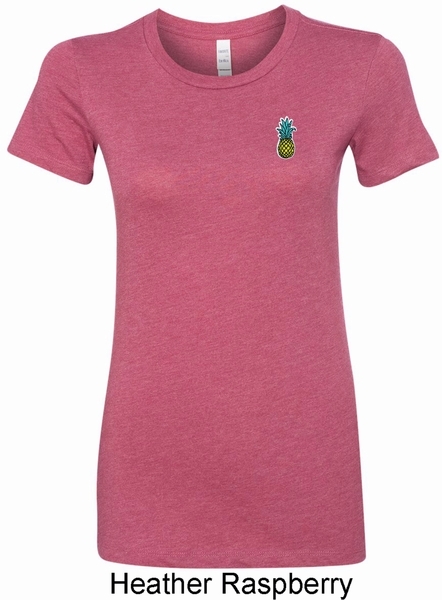 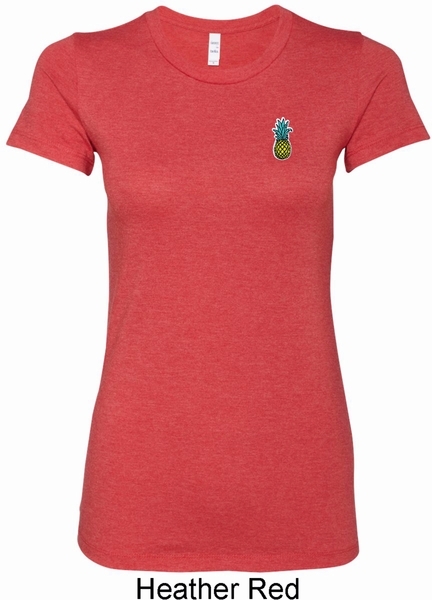 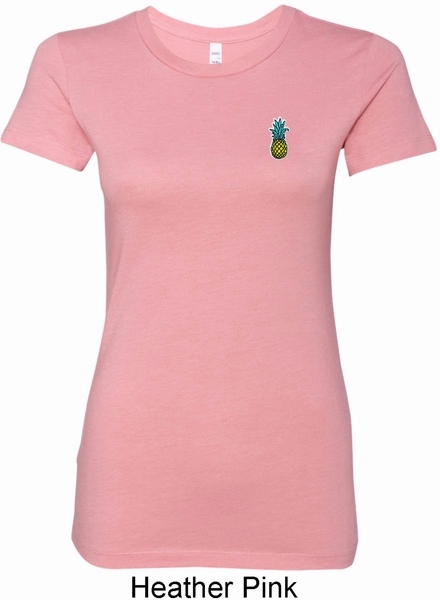 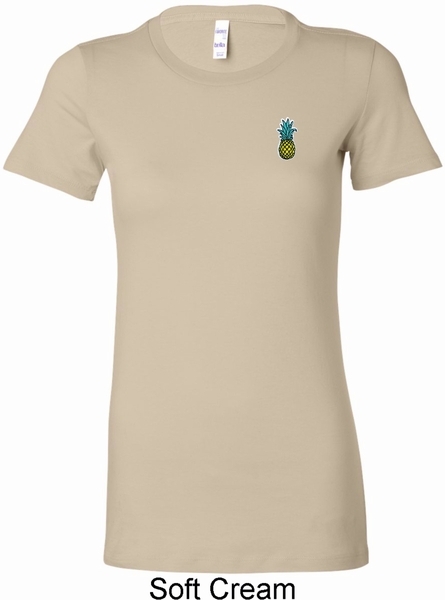 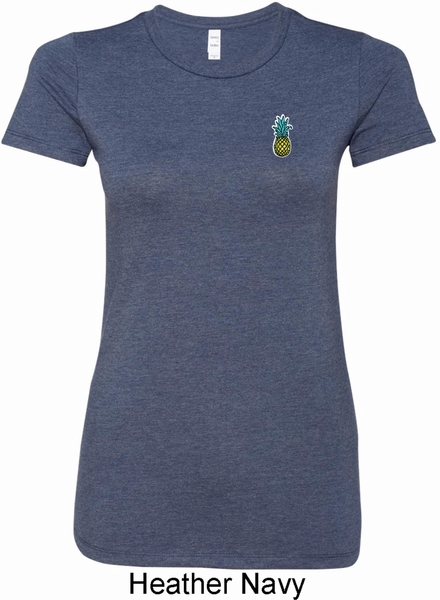 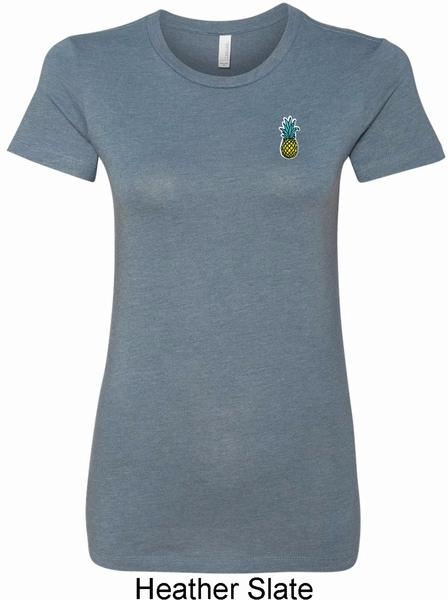 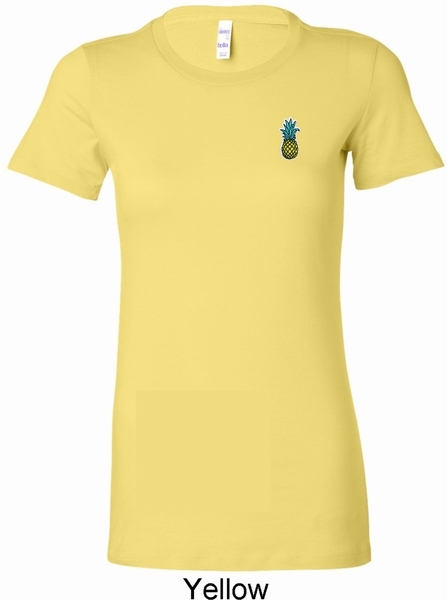 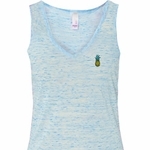 A fitted ladies longer length shirt featuring a pineapple patch as a pocket print. 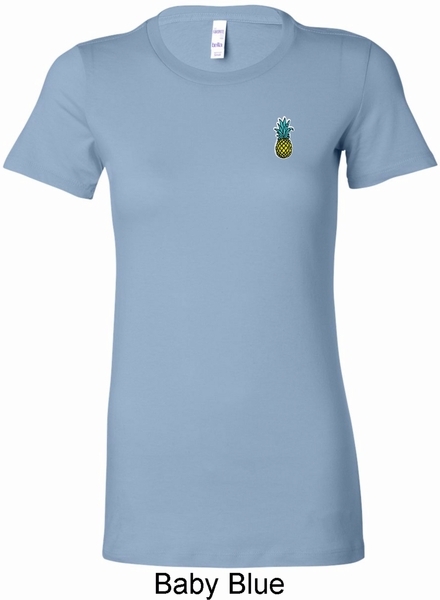 Made of 100% cotton (Heather colors are made with a blend of cotton/poly) Please note: this shirt does not have a pocket. Available in sizes Small through 2XL.